Trawalla Property manages a property portfolio for Trawalla Group. We are constantly looking for strategic acquisitions. Potential acquisitions must meet our investment criteria and create significant long-term value. Trawalla Property is part of the Trawalla Group. Alan and Carol Schwartz established the Trawalla Group in 2007 to manage the family’s investments. As Trawalla Group’s Managing Director, Alan provides entrepreneurial and commercial leadership to a team of investment management professionals. The Parliament Square project is the complete redevelopment of the existing Parliament precinct in the Hobart CBD into a new office precinct for the State Government of Tasmania’s occupation, as well as associated retail and a new boutique hotel within existing heritage structures. Developed in conjunction with Citta Property Group and Qualitas, Parliament Square will seamlessly integrate outdoor space, distinct heritage buildings and contemporary additions to create a dynamic community hub that will become a destination for locals and visitors. An architecturally stunning and historically rich destination in the heart of Hobart. 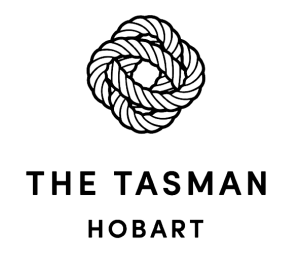 The Tasman will boast 152 luxurious rooms and suites with carefully restored features, including original windows, floor boards and fireplaces. The hotel’s corridors will showcase exclusive pieces from local artists, while an upscale restaurant, lobby lounge, and whiskey bar will offer a variety of dining experiences that reflect the spirit of the destination. Mount Panorama lies on the south-west outskirts of Bathurst, NSW and provides an unparalleled position on the famous Mount Panorama racetrack. Rydges Mount Panorama offers the complete Bathurst accommodation and the perfect place to unwind and explore the region. Five level heritage building with a modern extension, the original building was constructed in the 1950’s and in 2013 two additional levels were constructed, including an extra level of office as well as a high-quality penthouse apartment. The property is connected to the famous Hosier Lane, renowned for its street art. A spacious two level commercial office building featuring an unencumbered view of the city with a mix of open plan and private offices, expansive meeting rooms along with 36 secure car spaces. Located just 1km from Melbourne’s CBD and within the heart of the bustling inner city suburb of North Melbourne. Leased to “Our Community House” as a co-working space to bring together some of Australia’s leading not-for-profit organisations and social enterprises.